I have seen worst things. I have seen better things. Mostly what I have noticed is that the USA is slower off the ball than the England players are. The USA is also giving away too many free kicks, and the bulk of them are being gifted by the defenders. England already burned the USA with one of those freekicks, and had too others that should have been in the goal as well. If the defenders weren't the worst showing in the first half... Rico Clark definately was. Clark is starting to really worry me with his impression of Pablo "Hulk Smash" Mastroeni. He picked up the huge Red card at the end of the MLS season and the lengthy suspension and seems to have carried more of a chip on his shoulder in his latest matches. I know that his role is the defensive midfield position, but you can play the position without crushing guys every time you come near them. All in all, considering that Donovan isn't on the field, down 1 goal isn't the worst situation and if the game ends 1-0, then it is an ok result. England needs to pick it up a bit, they should be ahead 3-0 right now. This was one of the better matches I have watched for quite a while. Ronaldo scored his first goal against Chelsea, Drogba picked up a very important Red Card, and Edwin Van Der Sar came up HUGE for Sir Alex and Manchester United. Manchester United looked the better club in the first half; Chelsea looked better in the second half. I was worried once it came to extra time as Chelsea looked like they would get their goal. Once the extra time was started, I was even more worried as thought that it would come down to Ronaldo. I figured that Ronaldo would take the fifth kick and blow it. I was off by two spots. When he took his shot in the third spot, I instantly remembered his blown PK take in Barcelona. Unfortunately, he blew it like he did in Barcelona. Luckily for him, it did not completely destroy his season. So as John Terry set up to take his kick, I layed down and looked at the ceiling. I heard the kick and Tommy Smith say that it wasn't meant to be for Chelsea. In all honesty... in a match between these two clubs, a match that ends in a 1-1 draw and goes to penalty kicks is probably the best way for their series to end. I am going to enjoy this Championship by United. I think I will wear all of my United jerseys over the next five days to celebrate. That and drink alot of Boddingtons. Congratulations to Manchester United, Sir Alex, the Glazers, the players and most importantly, the Manchester United supporters. Steve Morrow was fired today as the FC Dallas Head Coach. FC Dallas currently sit 4th in the MLS Western Conference with a record of 2-3-3 with 9 points. So Morrow can get fired for only losing three matches.... but Tom Soehn is still managing a DC United side that has lost three in a row, five out of it's last six matches and has been outscored 14 to 6 in those six matches. The Captain is going down with his Ship. We have all heard the old saying; that a Captain goes down with his sinking ship. A captain is ultimately responsible for the actions of his crew, regardless of what they do. Hell, Captain Kirk even took responsibility for the actions of his crew in Star Trek VI. In sports, we have the manager/coach of the team that seems to always go down with his sinking team. Coaches get fired routinely in baseball, soccer, football, basketball and such. Usually you cannot go a month into a sports season without some reporter printing a story that already lists those coaches/managers that are already on the hot seat. MLS is no different. DC United is suffering, if not sinking. The rest of the Eastern Conference is quickly leaving the Black & Red behind as United fail time and time again, to put in a full 90 minutes of soccer. Saturday night, United traveled to Los Angeles and took on Chivas USA, another club that is stuck in quicksand. After scoring their first road goal of the 2008 season, United wilted in the second half and allowed 3 quick goals and lost 3-1. You can blame who you want, the players for not completing the game, or for not having heart or a fire in their belly, but regardless of whom you blame, their needs to be a change in some way, shape or form. A change is needed simply because the status quo is definitely not working. As in most other sports, when the results are not found on the field, the coach is usually the one left with the bill… or left on the sinking ship. Coach Tom Soehn is not a bad coach. He proved that he was able to correct problems last year and he was able to guide United to its second consecutive Supporters Shield and qualify for both the CONCACAF Champions Cup and the CONCACAF Champions League. However, due to how many changes were thrust upon him this season, Tom Soehn is in over his head. A lot of people blame the fact that DC United is playing poorly because of losing Ben Olsen and Josh Gros. I actually do not buy this idea. I can understand where people are coming from, but considering the whole picture, losing Josh Gros and Ben Olsen are not as big a problem as the fact that Soehn had to incorporate four players who have never played in MLS before, or with the other members of the club. MLS is not like other leagues, as it is much more physical and the type of play where you have time to dribble the ball is not one that really prospers here. Getting his new players to come to grasp with MLS play has not been a success for Soehn. Furthermore, Coach Soehn doesn’t seem to truly know how to motivate and encourage his players in order for them to play a full 90 minutes. Now in this area, I do agree that the loss of Ben Olsen has really hurt Coach Soehn. When Ben Olsen was running around the field like a mad man, he was the one who provided that lift for the players who started to slack off. Hell, even when Benny wasn’t out there, Christian Gomez was able to convince guys to keep running and stay on focus. Without these two players wearing United jersey’s on the field, the responsibility for getting guys in the proper mindset for a match falls to Soehn, and he has failed. What United needs is a great motivator. Someone who will come in and bench Emillio, not only for one half of a match, but for the whole match. Someone who will get in people’s faces when they start to slack off for 20 to 30 minutes in a match. They also need someone who will be able to properly manage the whole match, all 90 minutes. Neither of these qualities seems to be in Tom Soehn’s toolbox. I called for a removal of Tom Soehn last week, and I am still finding myself waking up every morning expecting to see a report that he has been released. This season of change, bringing in a new core of starting players has shown that Tom Soehn lacks the true tools to coach a team. He hasn’t been able to get the same type of results out of what many claim to be a club that actually has better talent this year than last year’s club. Week after week, we see the same lazy play from the Black & Red and afterwards, we hear of how players and the club have to go back to work and dig deeper. I do not know about most people, but I can hit my head against a wall only for so long until I realize that the wall is not going to move and my head hurts. So, if Soehn does get the boot, which I fully believe will happen after United loses this Wednesday evening in Toronto, who should be the one or ones who comes in to fix the problems? 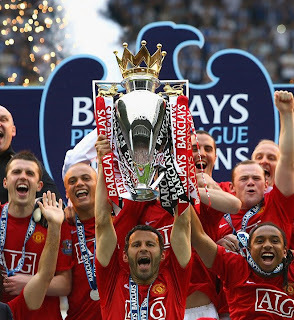 Honestly, I have said it before, but I think that United should look into the past to fix the current club. Bruce Arena is available, as is Marco Etcheverry. I think that if these two guys were brought in as head Coach (Arena) and Assistant Head Coach (Etcheverry) then United would get the two intangibles that they are missing. They will get a coach (Arena) who would be able to manage the club, its substitutes and is someone who isn’t afraid to bench a player or two. They will also get a coach (Etcheverry) who has the fire in his belly and knows how to play in MLS. More importantly, he played pretty much the same type of game that Gallardo plays, so he would be able to help mold the club around Gallardo’s skills and style, something that after 12 competitive matches this season, the club is still failing to do. Two weeks ago I said that the next four matches will define our season. I also said that United will be lucky to get 2 points out of the possible 12. We dropped our first 3 Saturday night and have a very short week before the next match… which happens to only be three days before the third match in this stretch. Follow that up with another short week before a trip to New England. 2 points might even be out of reach, if United fails to put in a full 90 minutes in any of these matches. It might be just as bad a situation if United replaces Soehn during this stretch as opposed to waiting until June. I really cannot see the club getting any better with Soehn at the helm. Maybe it is time for him to go down with his ship? We should see a scene very similar to this on the 21st. Guys in red jersey's hoisting a trohpy. Gotta love a sight like that! Last night's match showed alot more than just how good Chicago is this season. It showed how United is really not that great even after the massive amounts of change was went through over the offseason. It also showed how poor a coach Tom Soehn is. First things first, Chicago was the better club and deserved to win last night. They took their shots and took advantage of what United gave them. Furthermore, they have one of the best defenses that I have seen in MLS in a long time. The way that their midfield and defenders completely snuffed out any attack that United tried was impressive. However, as good as they were, United's players were that bad. Again, last night I saw too many attempts to walk the ball into the 6 yard box and try a nifty shot. I saw too many times a guy would have the ball inside the 18 yard box and his first and only decision was to pass. Guys, you win games by scoring goals. You score goals by taking shots. Clearly the Fire were the better team, but United helped them last night by failing to take shots and to play the full 90 minutes. They also helped Chicago by the way that they were coached. I blame Tom Soehn for this. Emillio should have been benched last night, newly signed DP or not. He has sucked it up on the field the past 8 or so matches and has failed to pull out of the funk he is in. Benching him and his new bonus might get things into his head that he needs to wake the hell up. Neill really hasn't been the shining light that the Front office made him out to be over the break. He is too small of a forward and gets knocked around too often to really cause a problem for defenders. If Doe is good enough to get a contract, he should be good enough to get more playing time than he did last night. Coach Soehn has yet to really show that he has the coaching skill needed to bring these guys together, or to properly manage a squad. If he did, Emillio and Gallardo would already have the kind of rapport that Emillio had with Gomez. Soehn would know when to pull players and bench them. He showed these qualities last season, but seems to be out thinking himself this season. This season his use of subs in matches has been truly baffling. I really don't know exactly how much longer the Front office or the club in general can hold out the hope that the on the field performances and the coaching get better. With United facing a long week of training and three matches of four on the road, this is major crunch time. DC United's season will hinge on these next four matches. I do not really think that the club has it in itself, with the current coach, to get through these matches with anything more than maybe, 2 points. If the Front office does remove Soehn, then I honestly think that the most logical steps would be to hire Marco Etcheverry as the head coach and bring Ben Olsen, who's career seems to be cut short as an assistant. Either that, or bring in Bruce Arena with Olsen as an assistant. Whatever is done, a change needs to be done soon. As they do have a long week, if they do remove Soehn today and install someone today, the players and whomever they bring in will have a full 7 days to work together, which isn't much in the scheme of things, but it would be better than if they had even less time. A breath of fresh air is needed. Change needs to come. The time is now. I like the partnership and the logo looks very nice on the jersey's, especially the road jersey. I think that this will be one of the more important steps that this club has taken as it grows. What is important is that United was able to get a partner that will be able to assist United in its efforts to grow in two of the hardest areas for United to try and grow into, Europe and South America. The fact that Volkswagen's are huge in Latin America and that Gallardo will be one of their spokesmen, will definately help the club in its efforts down in South America. United's efforts into Europe will benefit as well, with the announcement that Victor MacFarlane will travel to Germany later this month to visit VfL Wolfsburg, which is owned by Volkswagen to check out the Wolfsburg stadium and to see the clubs day to day operations. I cannot think of a better place for an MLS club to go to study operational proceedures that a German Football club. I am very happy about this deal. It puts money into the club which should be able to help with the second DP slot, if the Front office and Soehn decide to use it, which at this point, a pretty crafty German winger might look good right now.